Mixed-used development towers consisting of: office tower, residences, hotel and restaurants with cafe's and dining area, fitness center. 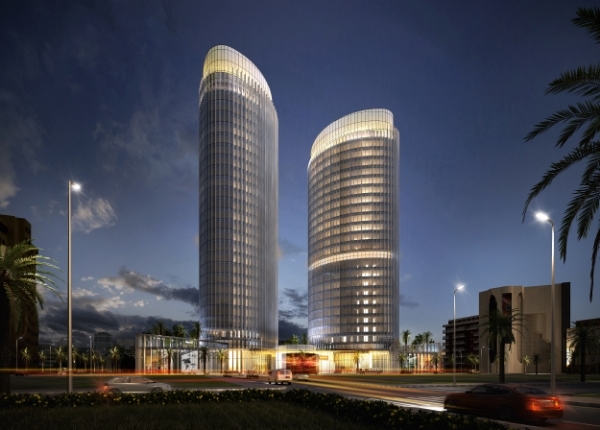 Medina road is a main thoroughfare in Jeddah and the development of these two towers are quickly filling the skyline. WGC provided in-depth lighting design for interior and exterior areas as well as the façade lighting. Particular attention was paid to the peaks of the building to create an impressive illumination that can be seen from a great distance. The podium lighting was articulated in line with modern structures and warm landscape. WGC also provided a full acoustics program for noise control and cost effective materials selection. Audiovisual systems were designed for the common areas and emergency systems.